The Pro-Shot II is a heavy-duty BBQ meat injector. It's great for injecting large cuts of meat such as pork shoulder and brisket and smaller cuts like chicken thighs. The 50cc pistol-grip design helps with handling and the single syringe allows you to be precise when injecting. The pistol grip is made from high-impact aluminum and the transparent barrel is made from non-porous polypropylene making this heavy-duty injector both lightweight and durable. 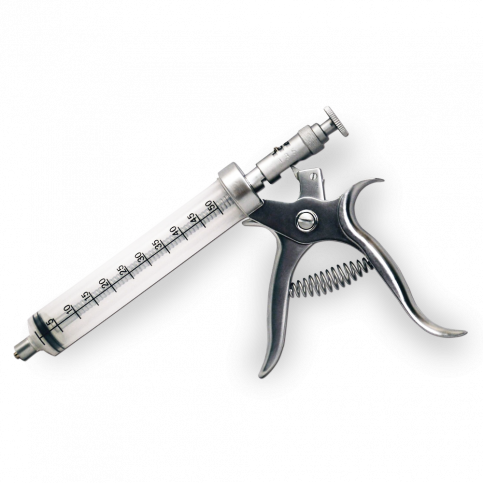 Please note: This Pro Shot Injector does not include needles. To purchase needles, select the needle option in the "select options" tab.